Meet the team! You can expect to hear any or all of us on each podcast. Variety is the spice of life and Chris, Chris and Martin bring a wide range of experience and knowledge. Chris M Evans (twitter.com/chrismevans) has worked in the IT industry for over 29 years. After receiving a BSc (Hons) in Computational Science and Mathematics from the University of Leeds, his early IT career started in mainframe and followed both Systems Programming and Storage paths. During the dot.com boom he also co-founded and successfully floated a company selling music and digital downloads. For most of the last 20 years, Chris has worked as an independent consultant, focusing on open systems storage and more recently virtualisation and cloud. He has worked in industry verticals including Financials, Transport, Utilities and Retail, designing, deploying and managing storage infrastructures from all the major vendors. In addition to his consultancy work, Chris writes a widely read and respected blog at blog.architecting.it and produces articles for online publications. He has also featured in numerous podcasts as a guest and content provider. 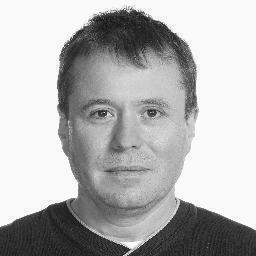 Martin Glassborow (twitter.com/storagebod) is an IT geek who has been playing around with computers for over 30 years; who at the age of 4 having been left alone in a university computer room proceeded to re-IPL the mainframe. He has been breaking IT infrastructure since then! A career which has taken in banking, shipping, petrochemicals, seismic and many other industries, Martin is currently adrift in a sea of media working on building one of the largest digital media archives in Europe. Blogging these days somewhat irregularly and often irreverently at his storagebod blog, he tries to be the voice of the user puncturing some of the myths perpetuated across the storage industry. 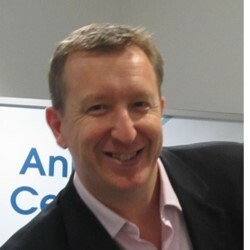 Gavin McLaughlin (twitter.com/tallstorage) has worked in the industry since 1987 initially in the technical and pre-sales arena before switching to the dark side of sales and marketing in the 2000s. Having worked for a number of storage vendors such as EMC, HP, Sun & X-IO, he knows many of the marketing tricks used by vendors and isn’t afraid to call out the BS that appears way too often. Now working primarily as an independent consultant helping vendors with core messaging and PR & AR strategies, he’s also works closely with start-up vendors trying to get a foothold in Europe. Gavin is often found lurking at the back of gigs (his favourite pastime) or arguing with barmen that Jack Daniels isn’t a bourbon (his third favourite pastime, the second being drinking the aforementioned bourbon). Chris Mellor (twitter.com/chris_mellor) is a storage/editor writer for The Register, carer of an ageing garage queen 911, and leisure time climber/mountaineer. My professional experience includes time as a programmer (mainframe and mini-computer), system software support, software project work, marketing and competitive analysis at UK software houses, Digital Equipment Corporation, Unisys and the Santa Cruz Operation, after which I became a freelance tech journalist. This led to three years editing Network Computing magazine, two years editing Storage print magazine, three years as storage editor for Techworld.com. I left in 2008 and started www.blocksandfiles.com to report on storage industry news. That was acquired by The Register in late 2008 and I’ve now spent eight years writing on storage matters for the best IT tech publication in the world – The Register.